Why should we treat our child’s baby teeth with extra care if they are going to fall out anyway? Primary teeth, also known as baby teeth, play very important role in a child’s oral health. They maintain healthy nutrition by allowing your child to properly chew. They are essential for a healthy development of speech. They reserve space for permanent teeth, making it easier for them to grow. At Happy Smiles in Kansas City we highly recommend that you take extra care of your child’s baby teeth. Choose a soft toothbrush with a large handle and small head. Adult toothbrushes are too rough and won’t be efficient. Make sure you do some brushing when those baby teeth first come in. This will help keep your child’s baby teeth healthy and will teach your child how to brush their teeth later on. A little bit goes a long way! When brushing all you need is a small pea shaped dot of fluoride toothpaste. Make sure that you don’t apply to much pressure and you are thorough with your brushing. 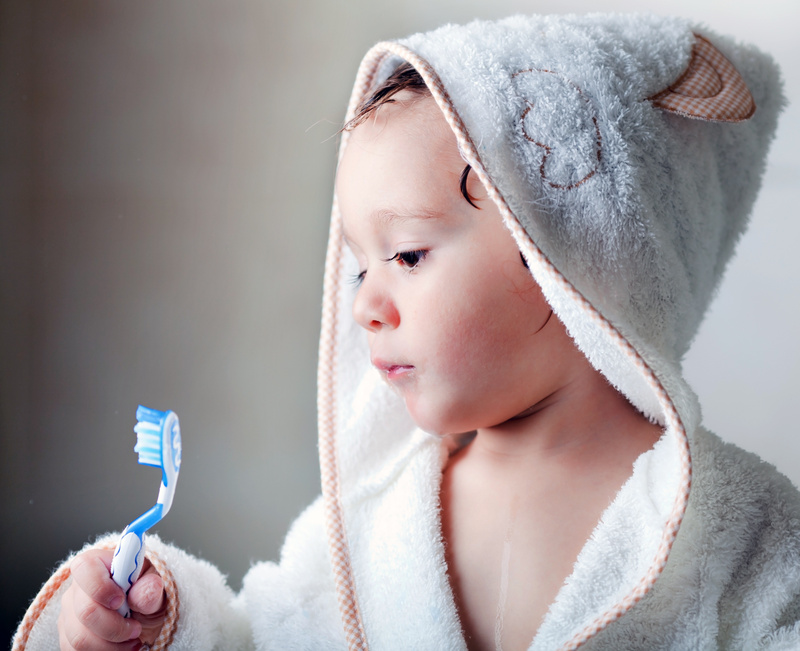 Brush your child’s teeth on a regular basis until your child is old enough to brush his or her teeth effectively. Effectively is key! Some children will hate brushing their teeth and go as fast as possible. Make sure they take their time! Even though a cavity here or there is not a big deal with baby teeth, excessive decay will result in having to have teeth pulled. This can create issues with the permanent tooth later on. At Happy Smiles our staff performs kid dental services in Kansas City with care. Our staff is committed to providing the best kids dental services in Kansas City to your children. Our staff is friendly and compassionate and are here to ensure that your child has a pleasant and comfortable experience. If you have any questions or concerns about your child’s dental needs in Kansas City. Call Happy Smiles, (913) 214-8405, today!